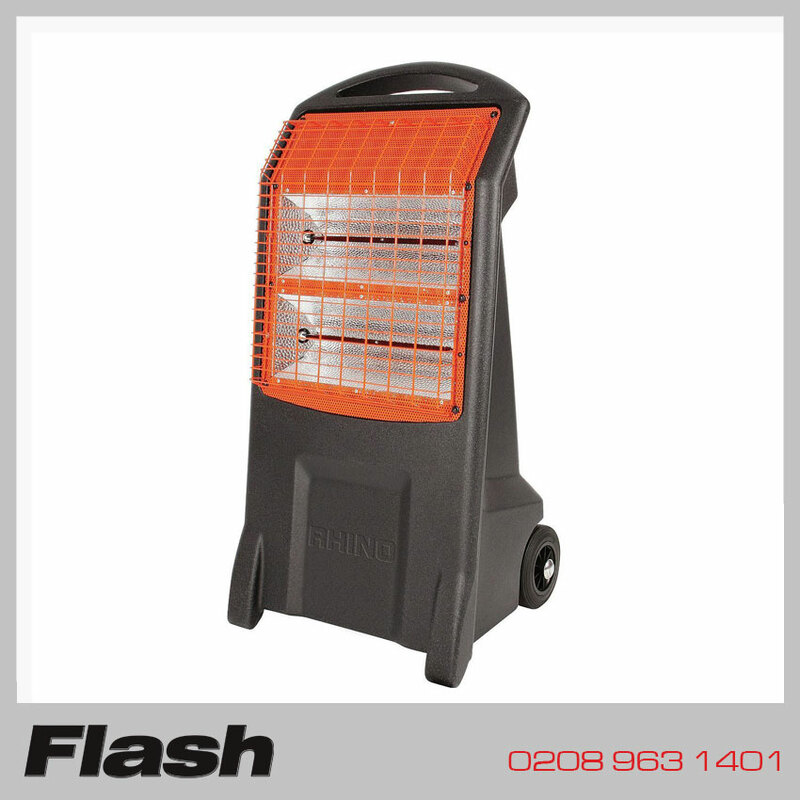 Rhino TQ3 2.8kw 240v 13a portable quartz halogen infrared portable commercial heater. This mobile infrared heater heats people and objects directly in its path. Quartz infrared energy is unaffected by air movement around the heater so no heat is lost through drafts or pre-heating. This propane gas burning unit is ideal for heating large workshops, warehouses, industrial units etc.Adjustable stand for directional heating.Fuel safety cut out in the event of overheat, flame or power failure.Approved to Calor, GS & DVGW standards.